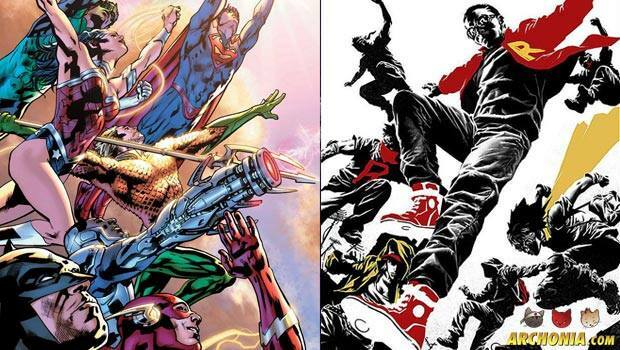 With DC Comics resetting almost their entire DC universe line in June, following their move from NYC to Burbank and Convergence, we are giving you our thoughts on the coolest things that are going to change. I am not talking about the big picture stuff, like more focus on stand alone stories instead of crossover events, or a greater character diversity, but our 10 picks of the most exciting new books that are coming our way, in no particular order. 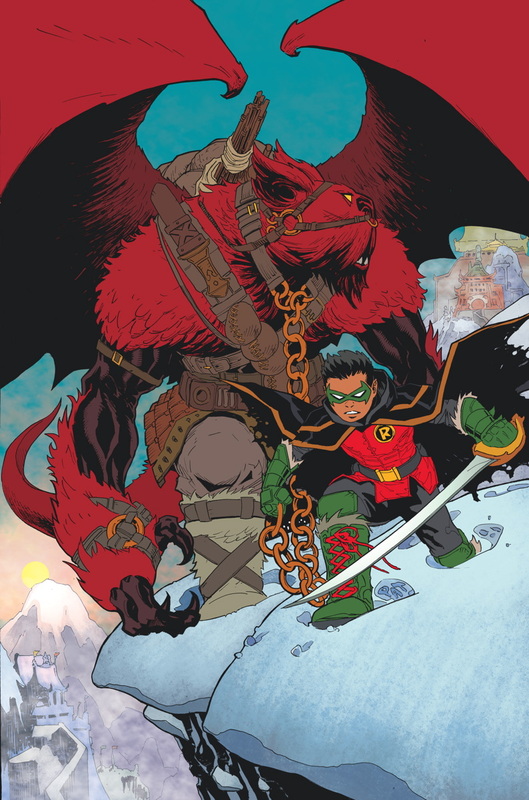 As a big fan of Damian Wayne I am very excited to see the coolest Robin ever get his first solo ongoing series. Damian has come a long way since he was introduced by writer and creator Grant Morrison in Batman #655 as a horrible, irredeemable brat that has been brought up by the League of Assassins, his Mom Talia al Ghul and his Grandpa Ra’s. Like all people I hated the little monster, but over the course of Morrison’s 6 year long story arc Damian worked his way into the Robin role and became a fully realised character most fans grew to love for his arrogant humor (seriously, he would out-quip Tony Stark with ease) and badassness. After the cancellation of “Batman & Robin” was revealed, that focused on his relationship with his Dad, I was initially very sad to see one of my favourite books go, but with Damian getting his own ongoing now, drawn by Patrick Gleason who already drew Damian in over 35 issues of B&R I am excited to see where his journey goes. And what is that giant pet monster he has with him? Preorder it here! Going from one Robin to a few others seems like a good idea. 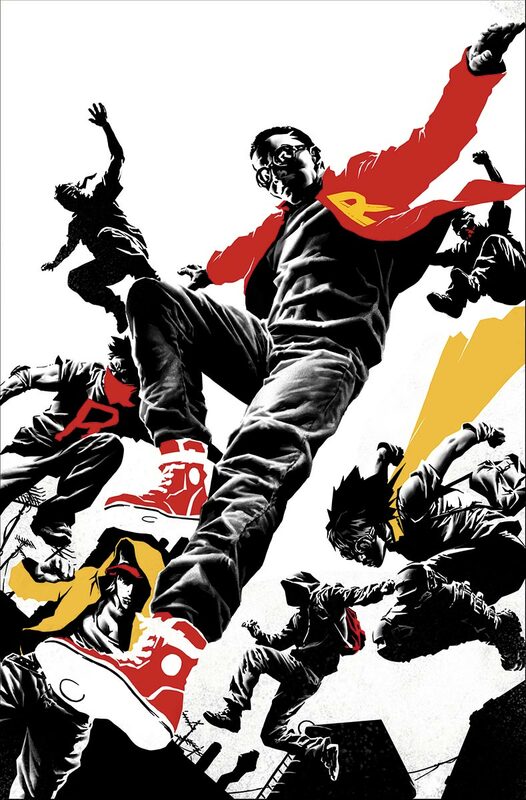 We are Robin is the new project from Lee Bermejo (Batman Noel) and it is about a large group of teenagers from Gotham accepting Robin as a symbol to use for themselves to make the city a better place. I am always excited to see when writers investigate the influence a superhero’s symbol can have on normal people, how it can inspire us to be better, to strive for something higher. It has a lot of promise and I cannot wait to see what happens here. A whole army of Robins? Sign me up. You can preorder here! 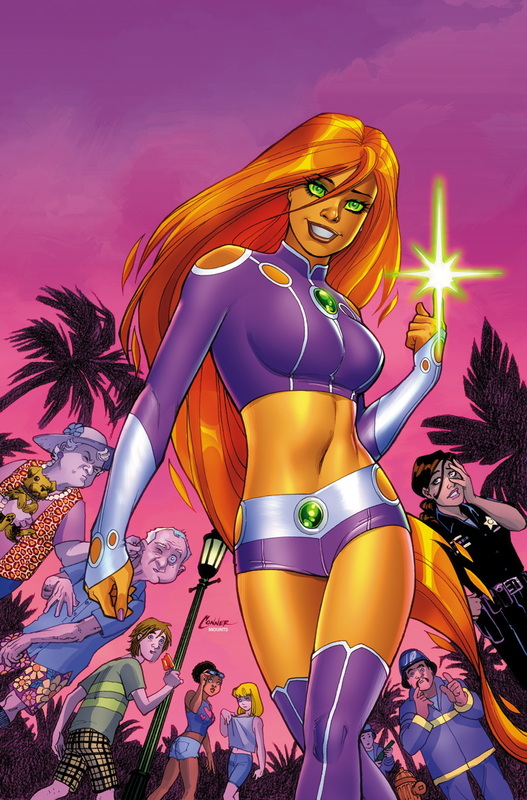 The last run of Justice League of America was focused on the ARGUS sponsored anti- Justice League team that featured the likes of Catwoman, Stargirl, Martian Manhunter, Green Arrow and others. This new volume, however, will again focus on the big 7 Justice League, but written and drawn by Bryan Hitch, who made the Ultimates into widescreen action 14 years ago for Marvel. Do I need to hype this more? I don’t think so. 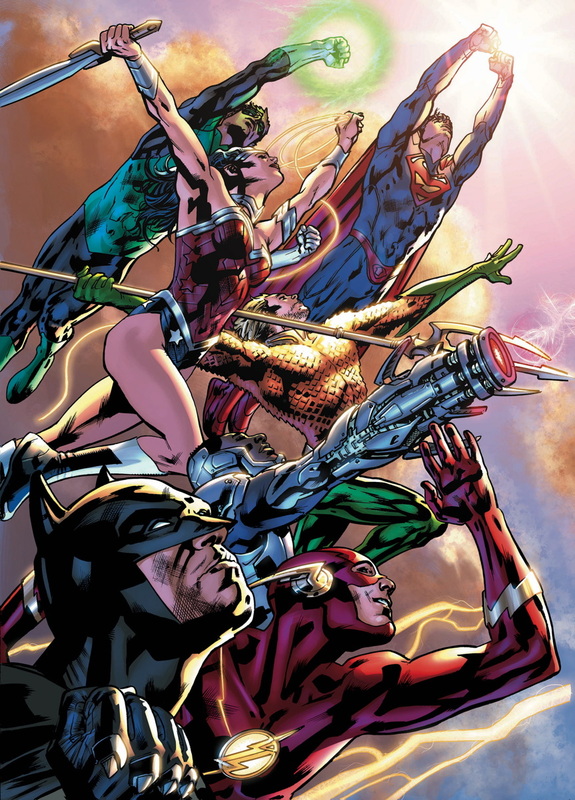 Bryan Hitch returns to the Justice League… Hello??? Preorder here! Brenden Fletcher and Annie Wu bring Dinah Lance into her new solo ongoing series! 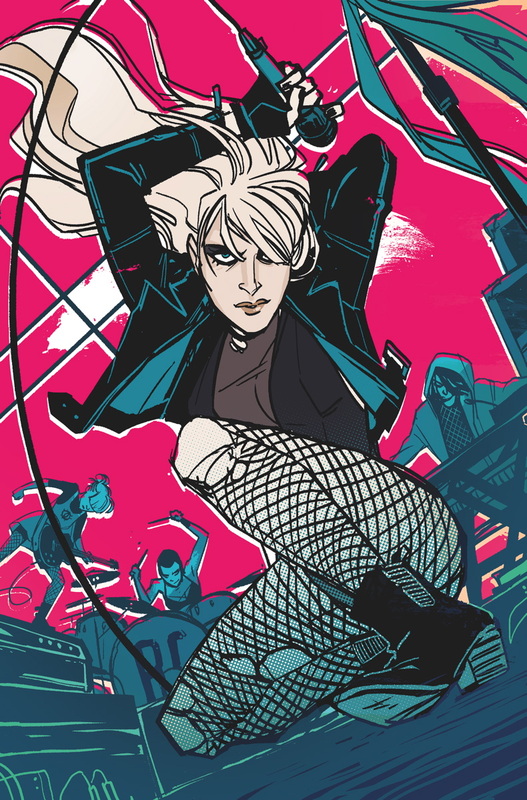 Dinah finds herself as part of the new Rock Band “Black Canary”! This new series is in the spirit of the new Batgirl run “Batgirl of Burnside”, so it is fresh, modern, young and badass, with an Indi book spirit on top! Dinah has to protect their new friends from coming threats she doesn’t even know about, so it’ll be part road movie, part rock show, part superhero book. One of DC’s coolest girls finally on her own, getting the spotlight she deserves! Arrow fans, pay attention! I cannot wait! Preorder Dinah’s book here! Constantine has been a part of the DCU since the New 52 rebranding in 2011, but as cool as his adventures with the Justice League Dark have been, it wasn’t the John Constantine we had lost when the Vertigo book “Hellblazer” ended. This is about to change with this new book. 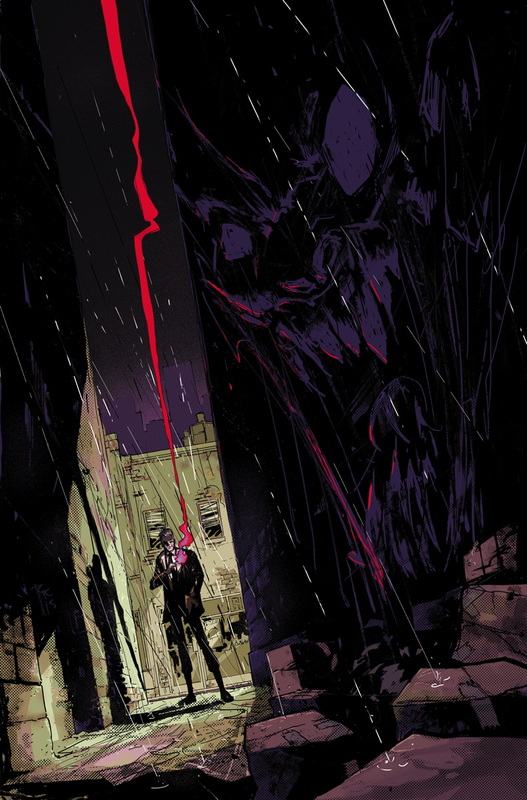 Adding the Hellblazer into the title already teases a darker direction for the character again! There is not much know about it yet, but I am excited to get my Hellblazer back again. The art looks to be heavily Vertigo inspired as well, so thats a big bonus. Preorder here! 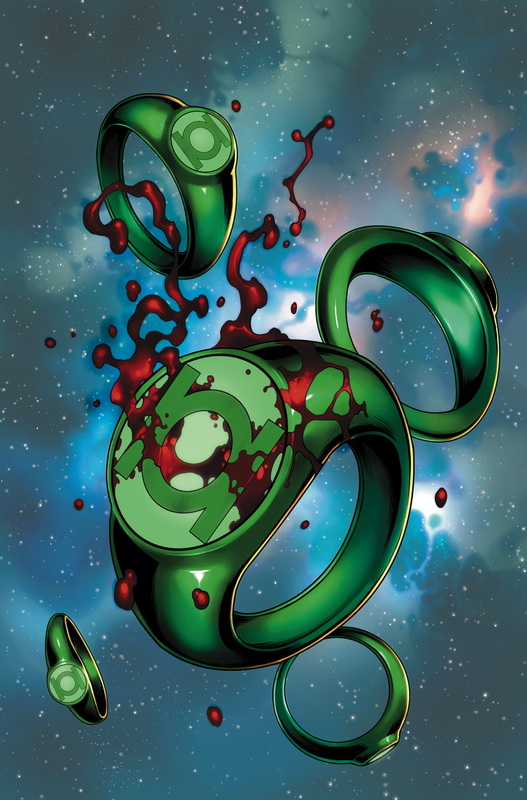 A group of GL’s (John Stewart, Two-Six, Kilowog and Arisia) is stranded in another universe, where the Green Lantern Corps doesn’t seem to exist. This is going to be a story about survival, being confronted with a whole new universe and finding a way home, which is all very exciting. It is basically a sequel to Green Lantern Corps, in another universe. Also: the writer promises a surprise guest star as part of the group that nobody is going to predict… so probably not another GL. Very excited to find out. You can preorder here! The most powerful DC superhero gets another solo series. Yeah, you heard that right… this guy is way more powerful than even Superman. Super strength, heat vision, flight, intangibility, mind control, telekinesis, shape shifting are part of his arsenal… next to a giant addiction to Oreos. 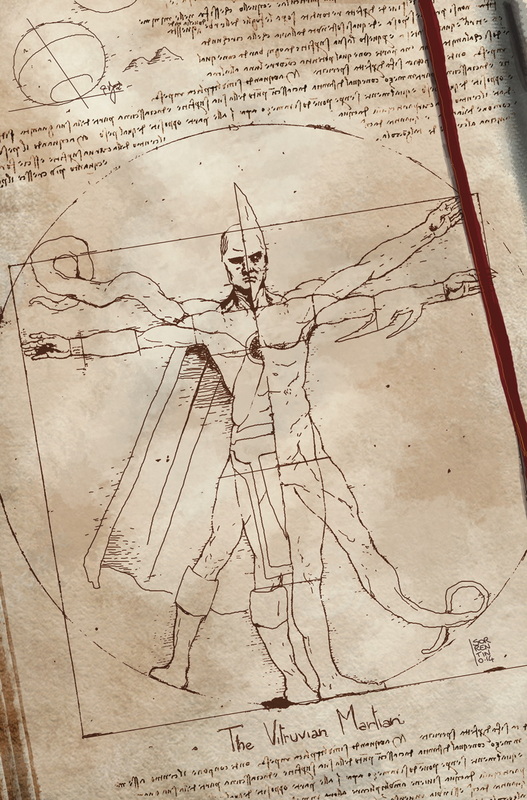 J’onn J’onzz is one of the last green Martians and decided, like Superman, to protect our planet. Before the new 52 he was a part of the big 7 Justice League, but the New 52 switched his place with Cyborg, which is exactly why it is great to see him get his own solo book. Preorder here! Wildstorms biggest badass from the widescreen action series “The Authority” has been a part of the DCU since the New 52 reboot, but now is the first time the Midnighter gets his own solo ongoing series. If you don’t know the character, imagine a more brutal and sadistic version of Batman. 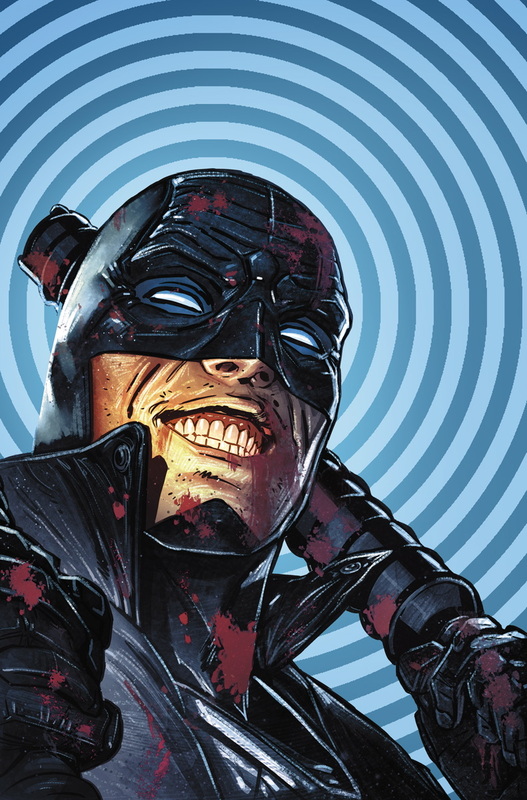 This book will not only show where the character is going in the future, but also who he was before he donned the costume of the Midnighter. Next to all those exciting possibilities, he is also the first male homosexual character in mainstream superhero comics with his own solo ongoing series, which is a big deal and awesome in its own right! Preorder here! From the creators of the hit series “Harley Quinn”, comes Stargirl’s first ongoing series! There is not much revealed yet about where the story takes this alien princess, but it seems like she is gone from the Outlaws and is looking for her place on earth. Amanda Conner and Jimmy Palmiotti, however, are the guarantee that this book will be shock full with cool characterisation, laugh out loud humor and action! Another one of DC’s coolest girls gets her first solo book and I will be with her from page one! Preorder here! Continuing the story of the heroes from “Earth 2″, we finally get our first Justice Society like book since the New 52 reboot! All Earth 2 related books have been leading up to this and I couldn’t be more excited! 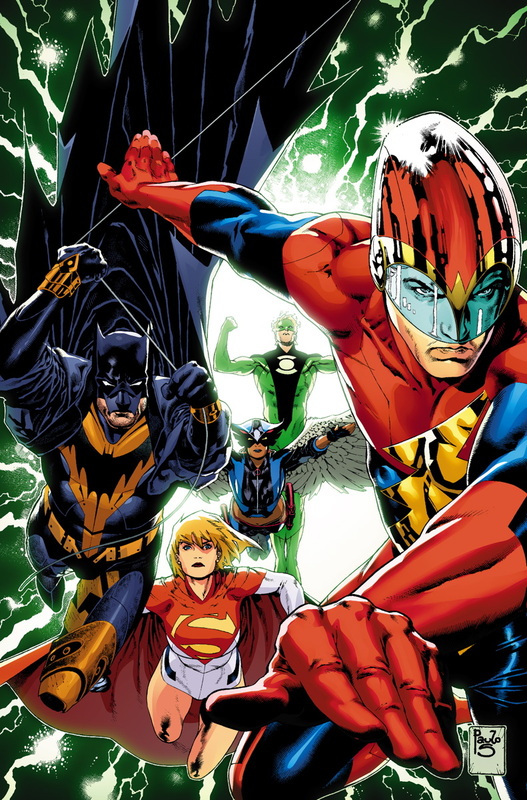 The heroes from Earth 2 (Jay Gerrick Flash, Batman, Hawkgirl, Powergirl and Green Lantern Alan Scott) find themselves on another earth to protect, which sounds like a fresh start for those troubled heroes. You can preorder here! Of course there are still more things worth checking out from DC Comics in June, like all continuing series like Batman, Action Comics, Justice League and the like, but this was our small highlight reel for the new #1 issues that are coming our way. We hope you guys are as excited as we are about all of this! Previous Post : Geekly News Round-up! Last weeks headlines you can’t miss! Next Post : Geekly News Round-up! Last weeks headlines you can’t miss!